Bounce will world premiere the 25th Annual Trumpet Awards, the prestigious annual event celebrating African-American achievements and contributions, on Sunday, January 29 at 9:00pm ET. Bounce recently acquired all assets of The Trumpet Awards and now owns, produces and exclusively premieres the star-studded ceremony. Black-ish, Angie Tribeca star and two-time EMMY nominated writer and actor Deon Cole and Rosewood, The Real Husbands of Hollywood and seven-time NAACP Image Award nominated actress Nicole Ari Parker will host the black-tie ceremony, to be held at the Cobb Energy Performing Arts Centre in Atlanta, Georgia on Saturday, January 21, 2017. •	Martin Luther King III will be presented with the Impact Trumpet Award. •	An all-star Gospel Tribute featuring Shirley Caesar, Erica Campbell, Jekalyn Carr, Le’Andria Johnson, Travis Greene and Derek Minor. •	Previously announced honoree iconic musical group New Edition will be saluted in a medley performed by R&B bands Jagged Edge and Silk. 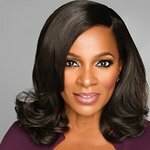 •	Vanessa Bell Calloway, Ed Gordon, Lou Gossett Jr, David Mann, Willie Moore, Jr., Gary Owen and Bill Withers have been added to the line-up of presenters. •	Atlanta Mayor Kasim Reed is set to open the ceremony. Tamela Mann, Regina Belle, BJ the Chicago Kid, Lalah Hathaway, Kenny Lattimore and Keke Wyatt will also be performing throughout the evening. Honorees at this year’s silver anniversary ceremony include television host and Daytime EMMY nominee Wendy Williams who will be presented with the Trumpet Award for Entertainment, former NBA great Dikembe Mutombo who will be recognized with the Humanitarian Trumpet Award, New Edition receiving the Lifetime Achievement Trumpet, GRAMMY-winning soul singer Peabo Bryson accepting the Legend Trumpet and fashion blogger Gabi Gregg being given the Trailblazer Trumpet Award.